The large number of tournaments around the country caters for all player who wish to play the game in a competitive forum, whatever their standard of play. If you are looking for rankings see the relevant Association Croquet rankings or Golf Croquet rankings. Most individual competitions are open to playing members of CA Member Clubs as well as Individual Members of the CA, however, Premium, Overseas and Student members of the CA, and overseas players claiming reciprocal rights through the World Croquet Federation, are entitled to priority entry and lower entry fees. to it). Any enquiries should be directed to the CA office. Inter-County Championships, including organisers & those eligible to play. 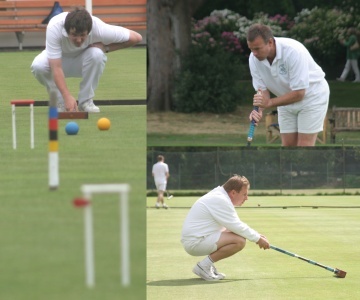 The CA runs national inter-club events, which are open to CA Full Member clubs and cover all standards of play and forms of croquet. Please refer to the notes on reporting results and news.